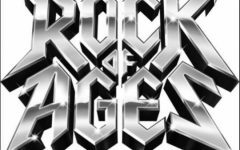 Friday, December 14th 2018 is a day that will go down as one of the greatest in Weddington Warrior History. While the weather and football field conditions were not exactly picturesque (with rain steadily falling throughout the day and night on Friday), what did turn out to be picture perfect was the final result of the evening, as the Weddington Warriors defeated the Southeast Guilford Falcons 27-14 to earn their second ever NCHSAA 3AA State Football Title. With kickoff scheduled for 7:30pm at UNC Chapel Hill’s Kenan Memorial Stadium, the Warriors wasted no time during the day preparing themselves for their biggest matchup of the season. Leaving at 12:00pm following a school-wide pep rally, the Warriors journeyed to Chapel Hill, arrived and ate dinner around 4:00pm, and then began their team walk through shortly after. 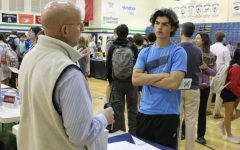 When it came time for the main event, it was clear that the Warriors thorough and intense preparations for the game gave them a leg up over the Falcons, as the Weddington defense stopped Southeast Guilford on their first offensive drive of the game, giving the Warrior’s offense the opportunity to score on their first drive. Weddington’s senior quarterback Whitner Litton delivered, hitting senior wide receiver Max Brimigion giving the Warrior’s a 7-0 lead with 9:25 remaining in the first quarter. The rest of the first half was all Weddington. 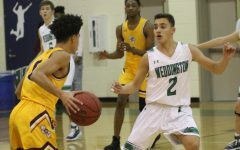 A dominant defensive performance from the Warrior’s – holding Southeast Guilford to 0 points – allowed Weddington an opportunity to break away on the offensive side of the ball. 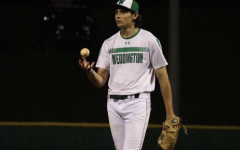 Scoring 20 points, with a touchdown from each Max Brimigion, James Shipley, and Will Shipley, Weddington headed into halftime with a steady and strong 20-0 lead over the Falcons. After the half, the game remained in the hands of the Warrior’s for the most part once again. Several turnovers from Weddington’s offense gave the Falcons a chance to close the gap, but after a touchdown from Southeast Guilford with 6:42 remaining in the 3rd quarter, they were never quite able to capitalize on their momentum, struggling to stop the Weddington offense and be consistent with the Warrior’s defense. Heading into the final quarter, Weddington lead the game 20-7. But, after another [Will] Shipley touchdown, the Warriors extended their lead to 27-7 with 11:01 remaining. 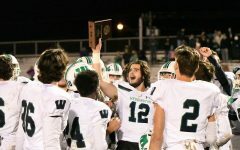 Following an 83 yard touchdown pass by Southeast Guilford to cut the score to 27-14 with 6:19 to go in the game, Weddington locked in, and finished strong, sealing their championship fate with an interception by cornerback, Max Brimigion with 1:06 remaining in the matchup. 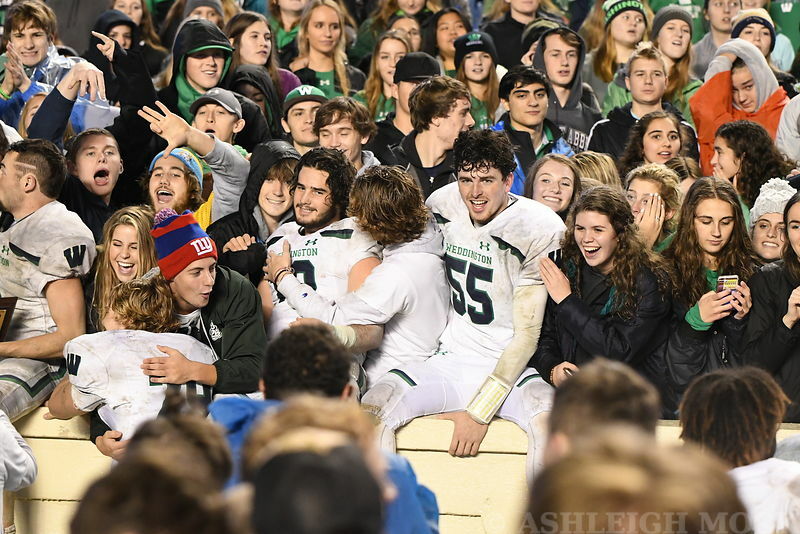 As the clock ticked down and Weddington took their victory formation, it became clear that the evening would be one that will live on forever in the history of Weddington High School. Specific awards given to the Warrior’s, included the “Offensive MVP” of the game which was earned by senior quarterback Whitner Litton. The “Defensive MVP” was awarded to senior linebacker Eamon Murphy, and the “Overall Game MVP” was won by senior receiver and safety James Shipley, who happened to win the “Offensive MVP” award at the 2016 NCHSAA 3AA State Championship at Wake Forest University. It is clear that the State Championship victory meant more to the Warrior’s than just another ring or a banner to hang in the school. It was about sportsmanship, camaraderie, and selflessness, along with carrying the tradition of excellence set before them in the Warrior Football program. “It has been an honor to carry on the legacy of winning that this program has established,” commented senior linebacker Eamon Murphy during his post game press conference. To say the least, the team powered through and gave yet another outstanding performance under the biggest spotlight they’d faced all season. They remained true to their craft, and took care of business. 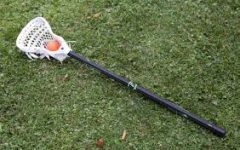 With it being the final game in the career of each senior on the team, it seemed as if each of them, though sad to see it end, could not have been happier with the way they went out – as champions, something that can never be taken away from any of the team members. A champion is now a part of who they are – it has been earned by each player, and it is what they can all call themselves forevermore. 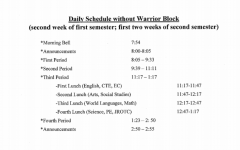 With that, the Warrior’s closed the curtain to their near perfect season this past Friday, and while the class of 2019 will be missed, there is still much to look forward to for Warrior Football. After all, this is only the beginning of success for what looks to be one of the greatest football programs in the state of North Carolina. Here’s to this season. Here’s to the Warrior’s. Here’s to the seniors, and here’s to a legacy of CHAMPIONSHIPS for years to come. HOKA-HEY and Go Big Dub! 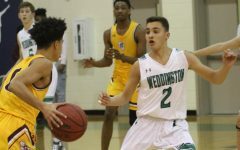 Weddington Men’s Basketball Pushes Hard To Finish Out Their Regular Season Strongly – Relying Heavily On Young Underclassmen Talent.